Avanti Computer Systems 2014 “Power of Knowledge” Learning Conference at the upscale Park Hyatt Hotel in downtown Toronto May 27 – 30 provided actionable steps that all users of Avanti’s popular MIS systems can take back to their companies and implement immediately. It focused on reducing the need to hire more staff and finding more time to work on core activities and sales – and, of course, on saving money using its workflow integration modules and digital print automation. The conference was kicked off with a keynote address and an Avanti Slingshot Technology Update from Patrick Bolan, President of Avanti (pictured previously). 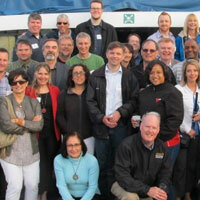 Part of the crowd from the Avanti User Group Conference. Participants focus on efficiencies during Avanti’s Print Estimating Session. Other topics included workflow and how to avoid unwanted breakpoints, demand estimating, e-access, order entry, reporting and shop floor data collection, CRM, triggers and alerts, eDashboards, period-end procedures, purchasing, scheduling, mailing, shipping integration, invoicing, accounts payable and more. Attendees took the night off Wednesday, May 28 to explore all that the city of Toronto has to offer including the Royal Ontario Museum, the Art Gallery of Ontario, the CN Tower, world-class restaurants, shopping in the heart of Yorkville and much more. 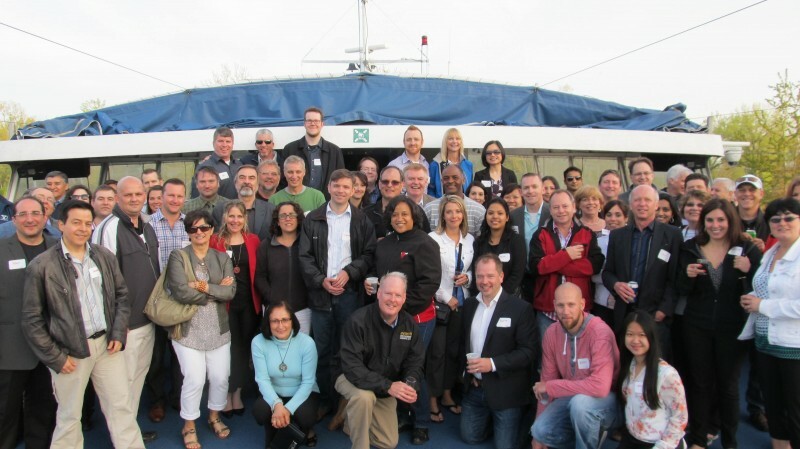 The event also featured a scenic, relaxing dinner cruise along Lake Ontario Thursday evening, May 29. Avanti made big news last year when OEM giant Ricoh made a multi-million-dollar investment in Avanti Computer Systems Limited. The move allowed Ricoh to continue to further enhance the development of new management tools to help its enterprise and commercial printing customers. The opportunity for Avanti was to bring its popular open-end MIS tools to an even broader global market. Enjoying an early evening boat tour and dinner around scenic Lake Ontario. Used by over 400 clients across North America, Avanti’s software helps commercial and in-plant printers streamline virtually every aspect of their workflow, resulting in greater productivity, customer satisfaction and improved profit margins. Some of its high-profile clients include large North American commercial printers, high-profile Canadian and U.S. universities and the U.S. Senate.